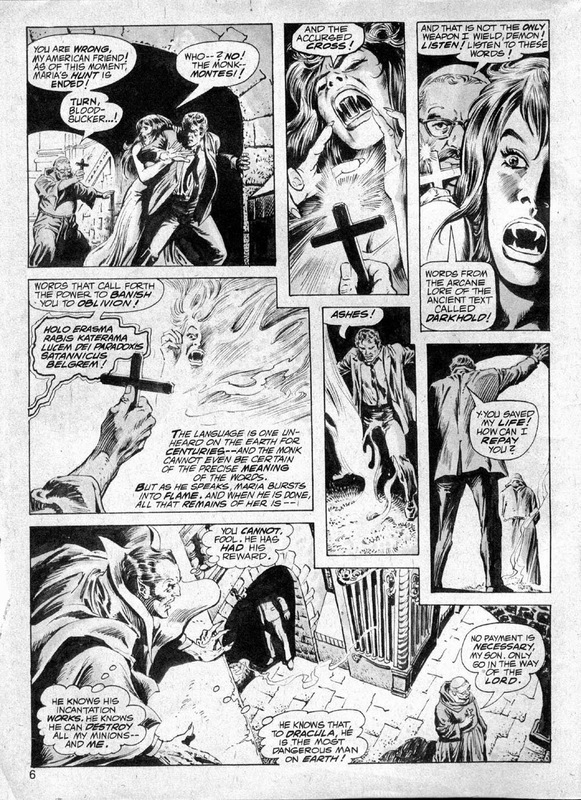 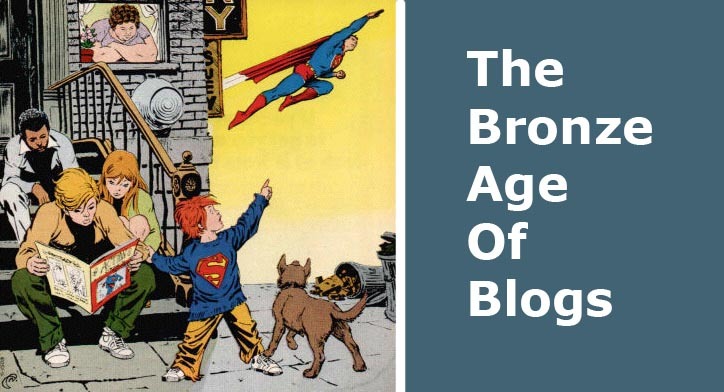 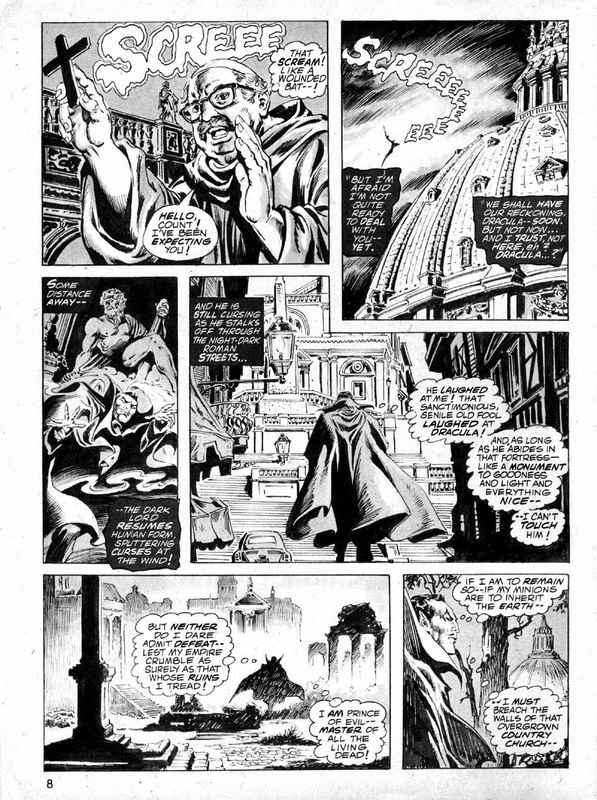 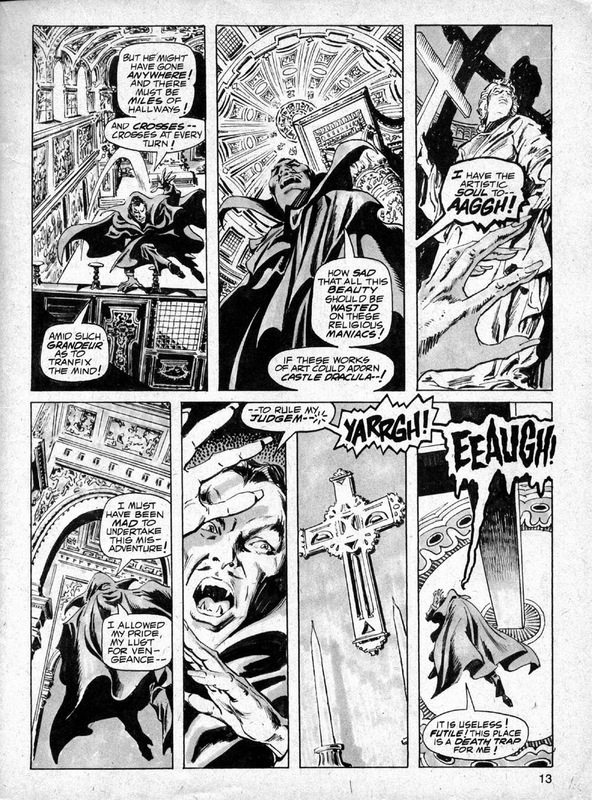 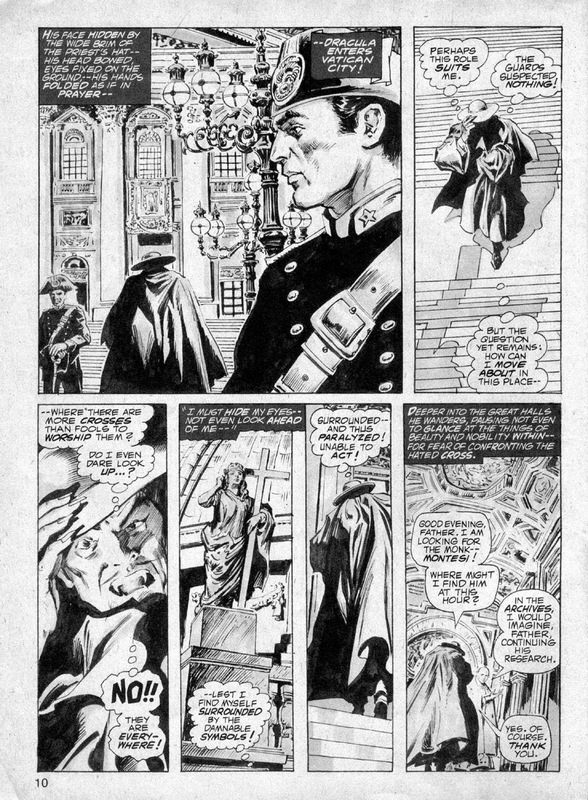 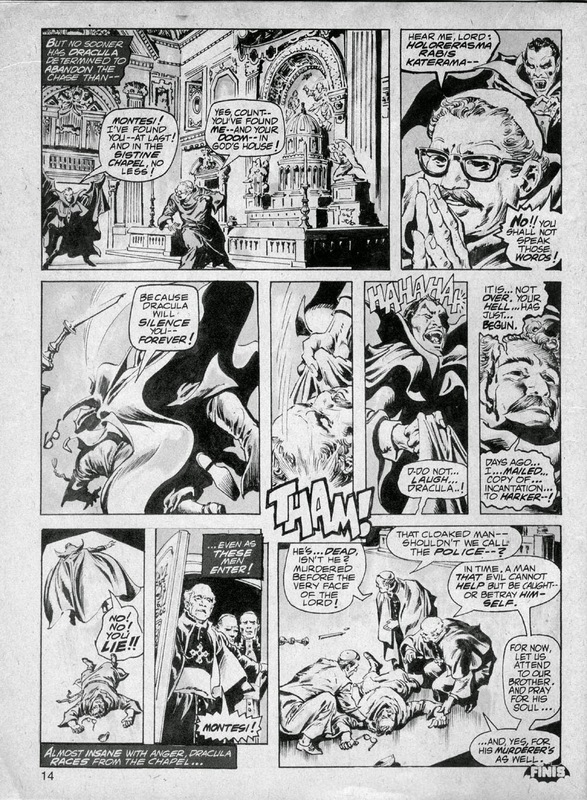 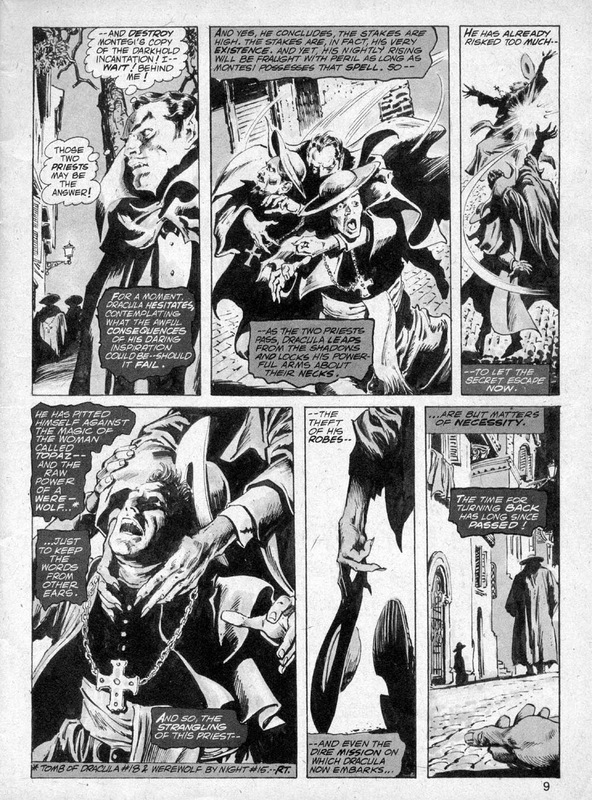 Because Marv Wolfman & Gene Colan's Tomb Of Dracula is the Bronze Age masterpiece it undoubtedly is, it's easy to sideline the later b/w Drac magazines, but there's extremely good stuff there too. 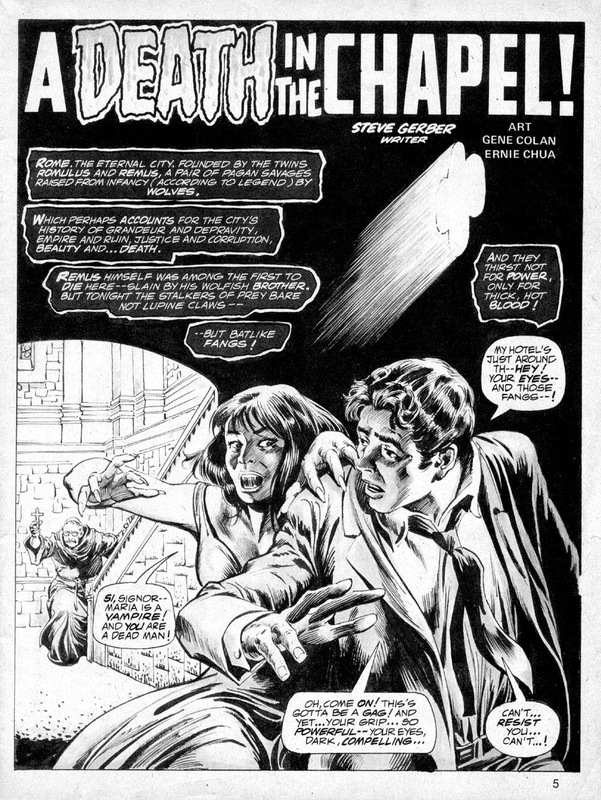 A Death In The Chapel has a setup any Hollywood scriptwriter would kill for, and if it has a fault, it's that it's over too quickly. 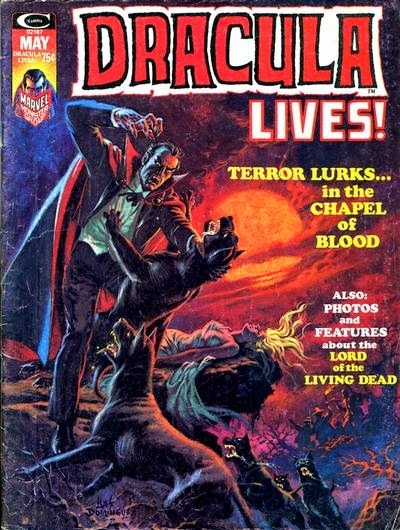 I'd've liked a whole issue of Drac lurking in the tombs under the Vatican, sinking his fangs into the odd unwary priest. 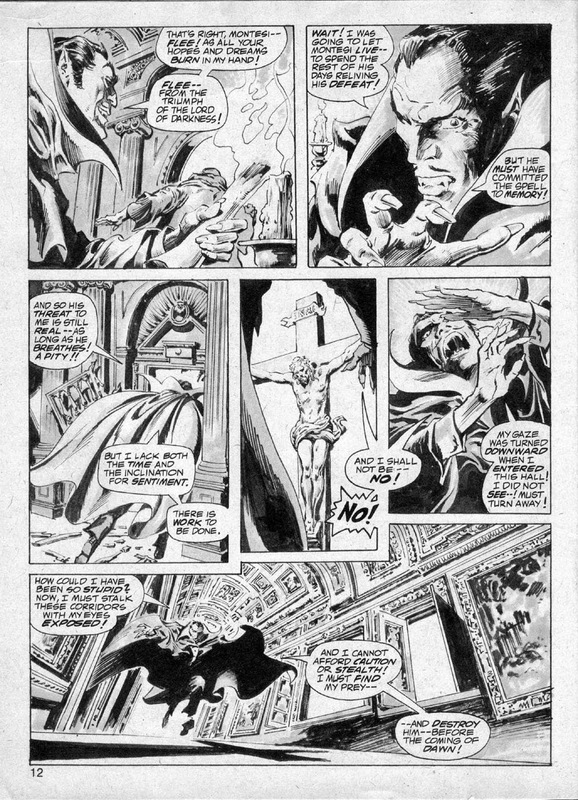 But hey, I'm culturally Catholic. 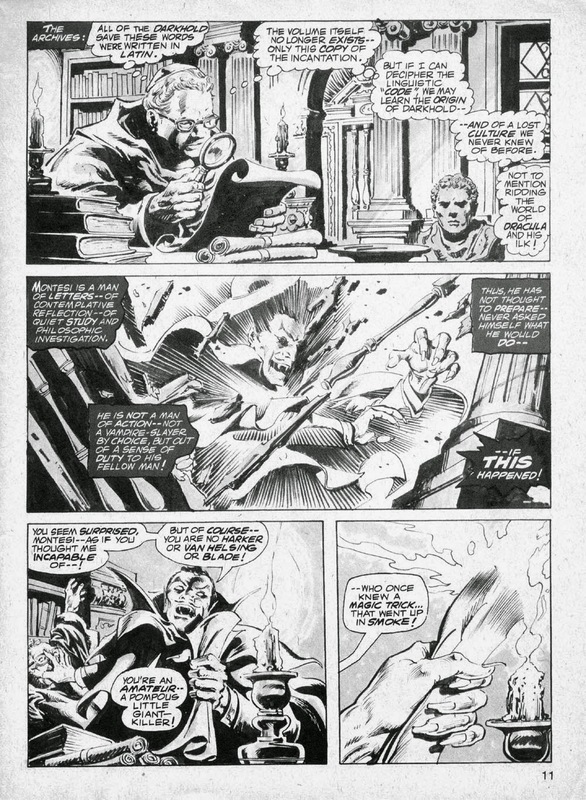 This is one of the first times Gene worked with Steve Gerber, and they're both having a ball, while Ernie Chan contributes some nice tonal inks. 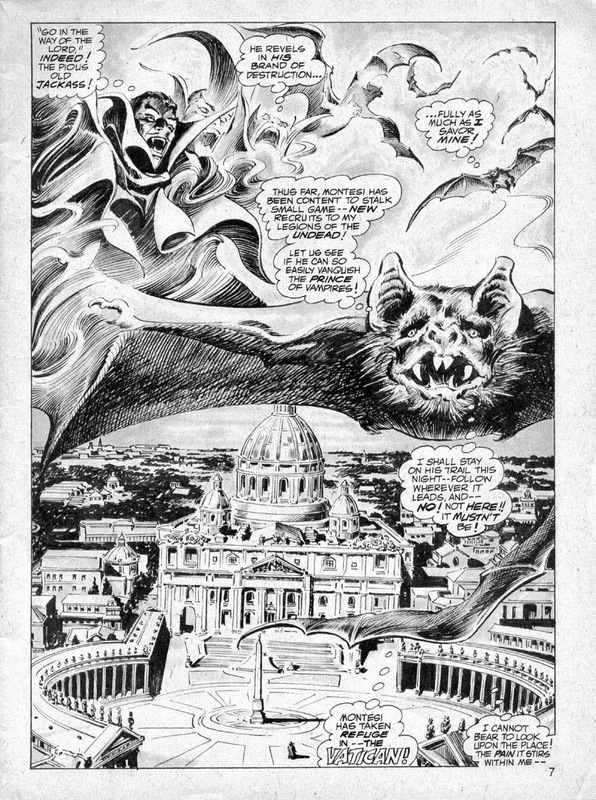 It's Dracula in The Vatican, what more d'you need to know?